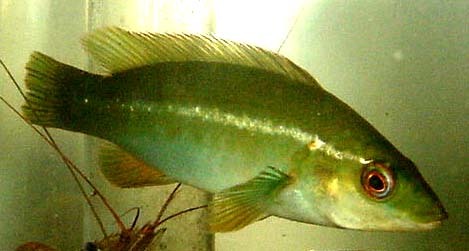 Ballan Wrasse can be kept in aquaria for several years from first year fish. Eventually, they grow too large (in 3 years they can reach a length of 21 cm and a weight of 230 g = 8 oz) even for home aquaria. The do not require the aquaria to be cooled and will survive in temperatures up to 26° C for short periods during the summer. Another fish grew to 11 cm by the third year. I remember seeing a large fishlouse (about 3 cm) attached to an adult Ballan Wrasse while snorkelling off Guernsey a few years back. (written in 2001). 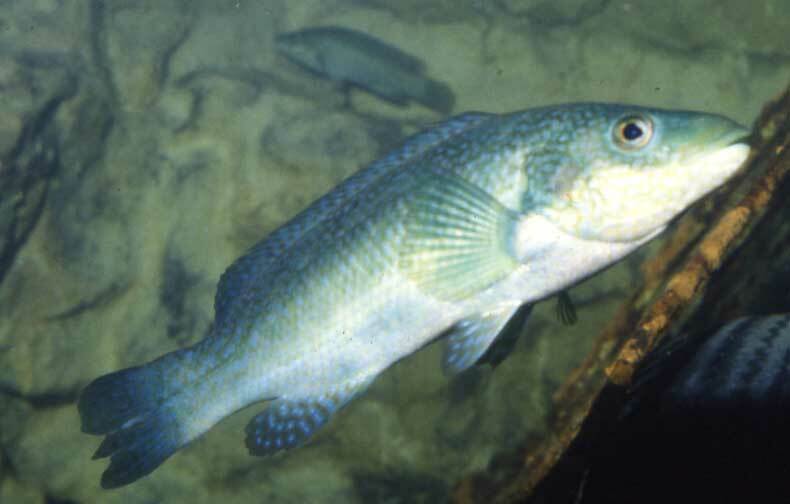 After searching through the internet for information regarding Ballan Wrasse fish, I ended at your site. I was after details & description of this said fish. which I've deliberately underestimated the dimensions, to what approximate weight do you think this fish could have been, & is it unusual to catch this fish in this manner. Needless to say, after the fish was returned, we all decided that the catch of this fish more than compensated for the lack of crabs and so we packed up for the night. Both our children agreed that their mum was the best fisher woman in Cornwall. I did manage to take a photo of the fish, but I suspect when I get it developed it will show no scale as I took it as she was reeling it in. This wrasse has been recorded off the Shetland Isles (Report by Ronnie MacLean from Yell). suppose that they must be difficult to catch using normal bait. Other wrasse are common too, especially in late summer, Goldsinny Wrasse in particular. My local paper today reports that local fish farms are to increase the capture and use of goldsinny wrasse as cleaner fish to control lice in salmon farms, in an allegedly sustainable way (what else?) I've always thought of them as being territorial fish - does anybody know if this is the case and what effect removal from an area might have?